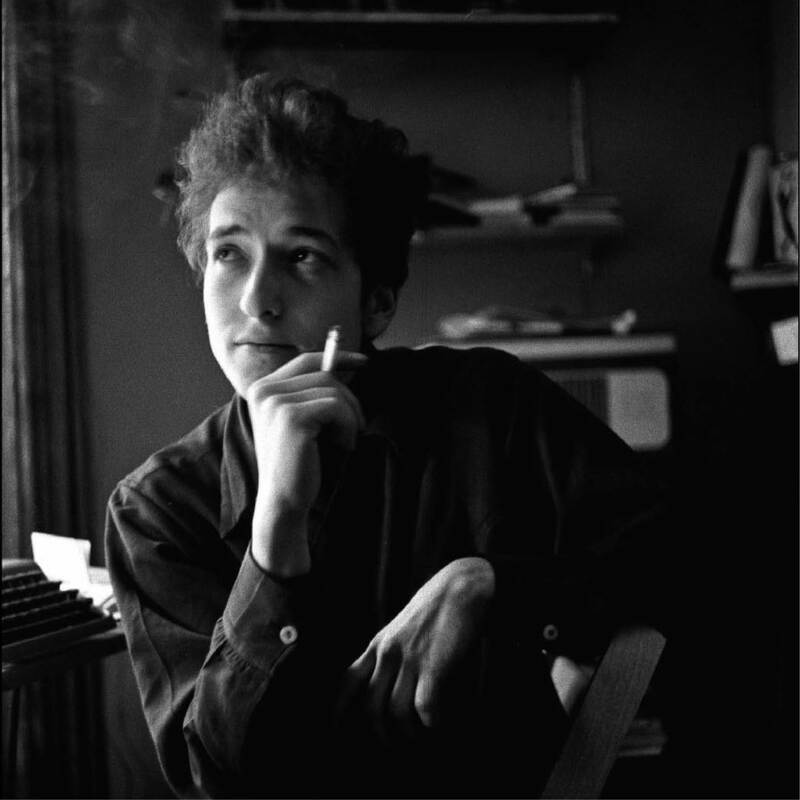 It was late 1961, photographer Ted Russell recalls, when he first heard about an “up-and-coming young fellow who was coming out with his first album.” A freelance photographer on the lookout for good subjects, Russell was intrigued by a rave review in The New York Times of a raw- voiced folk singer called Bob Dylan. Dylan was a twenty-year-old folk singer whom nobody knew, but Russell photographed him nonetheless. Bob Dylan NYC 1961-1964 is an early look at the singer/songwriter who would go on to become one of America’s greatest musical treasures. 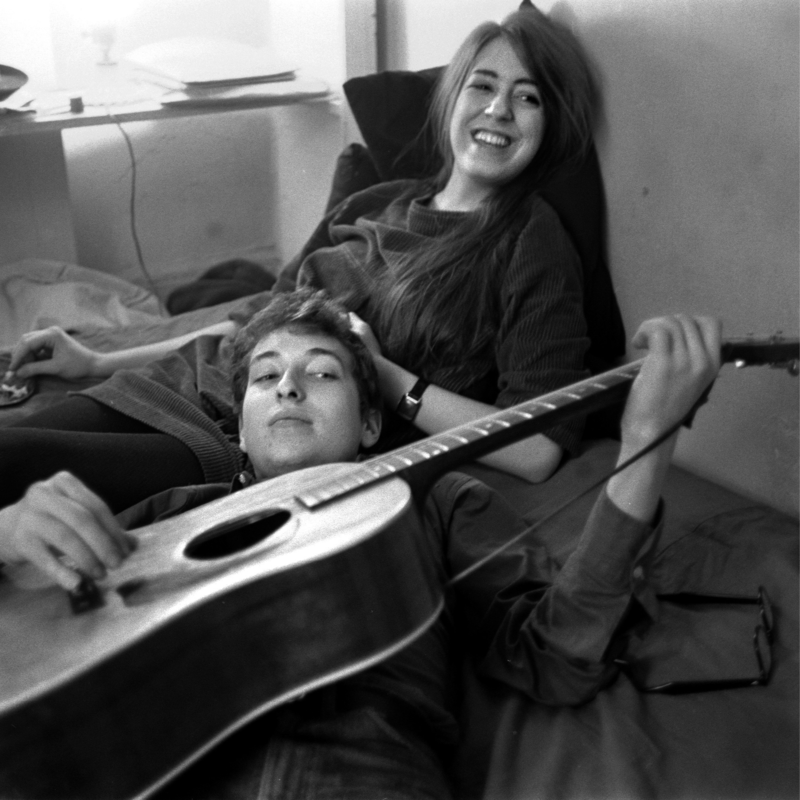 This exhibition contains candid and intimate photos of Dylan in his Greenwich Village apartment, writing and practicing; relaxing with his girlfriend Suze Rotolo; and performing at the celebrated folk club Gerde’s Folk City. After dropping out of college in May of 1960, Bob Dylan packed up and moved to New York City to meet his idol Woodie Guthrie and perform at the city’s renowned folk clubs. His first apartment at 161 West 4th Street in Greenwich Village was the site of his encounter with freelance photographer Ted Russell. Russell photographed Dylan again in 1963 while he was receiving the Tom Paine Award from the National Emergency Civil Liberties Committee. 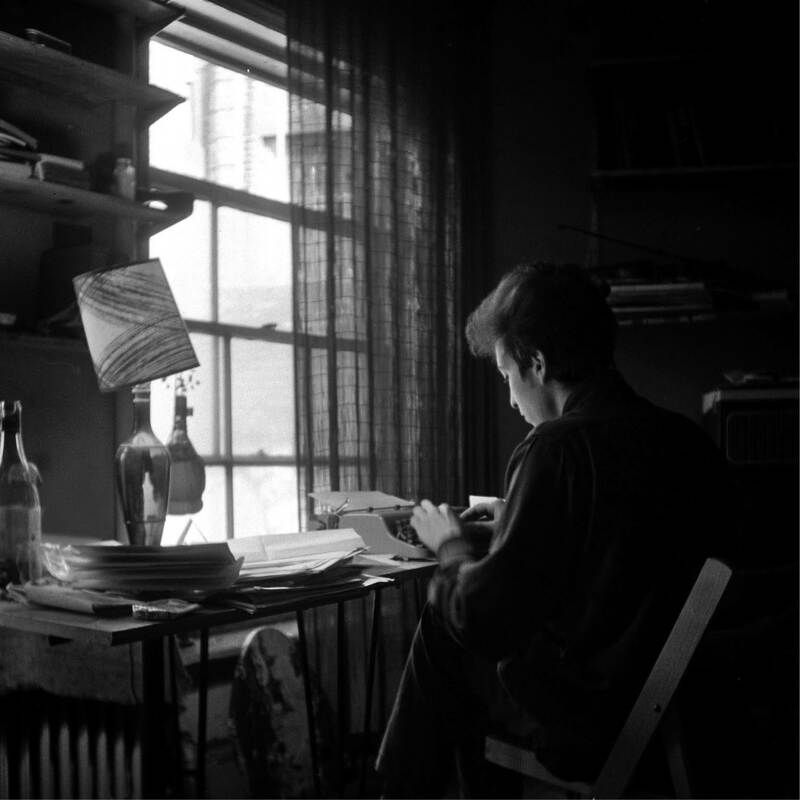 Russell photographed Dylan once more in his apartment, this time at his desk. It was 1964 when Dylan was writing some of his most significant songs. This exhibition of thirty- five 16” x 20” pigment prints documents Dylan’s very first years as a musical artist in New York City and his rising success between the years between 1961 and 1964. It is only after five decades of sitting largely dormant in a file cabinet that the complete collection has been brought to light in the book Bob Dylan: NYC 1961-1964 (Rizzoli 2015) and in this exhibition. Bob Dylan, a bohemian poet, would become one of the most original and influential songwriters of our time. This exhibition provides a portrait of the artist as a young man.